uilt not far from Blois under the reign of François 1st on marshes intended as a « hunting relay », the Chambord Castle housed several times Louis XIV first with Mme de Montespan, then with Mme de Maintenon, as well as chosen members of the court. On October 11th of 1670, Molière and Lulli gave the first performance of the Bourgeois gentilhomme (The Bourgeois Gentleman). Stanislas Leczinski and wife lived there for eight years. 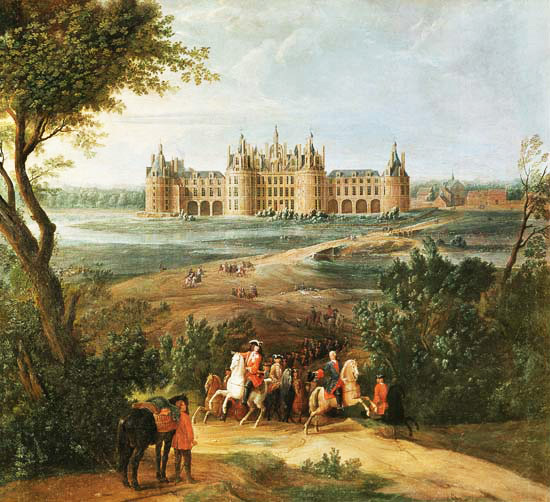 In 1748, Louis XIV gave it as a reward to Maurice de Saxe for his victory in Fontenoy. In 1793, the furnishings are auctioned off and the castle of Chambord remains without owner or occupant. What to do with it? Napoléon donates it to his loyal subordinate Berthier with five hundred thousand francs, on condition that the new owner restores and maintains it. 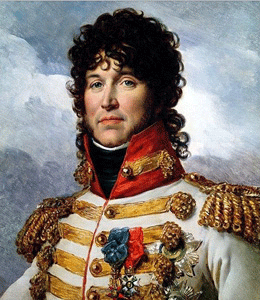 After his tragic death on the 1st of June, 1815 (he was then Prince of Wagram), his widow, deprived of a pension can no longer face the heavy expenses. Louis XVIII now back on the throne, his Finance Minister considers taking back the whole property and selling it by plots. The income of the sales will mainly be used to endow the heirs of Berthier. On August 11th, 1819, the King authorizes the procedure. A rumour immediately spreads that the vast estate is going to fall into the hands of the « bande noire »1 that Courier champions in the Ve Lettre au Censeur. It becomes imperative to stop this from happening. History speeds up. On February 13th of 1820, the Duke of Berry is assassinated by Louvel while leaving the Opera. He was the sole hope for a male successor to the Bourbons’ eldest branch. The event leads to the fall of the Decazes Ministry, bringing back the ultras to the government and muzzling the freedom of the press. Courier will express his opinions on the matter in his lettres IX et X au Censeur. One month after the assassination, the news spread like wildfire: the Duchess is expecting ! Hope and anxiety: will the eldest branch be saved ? It was. On September 29th of 1820, Marie-Caroline gave birth to a boy known later under the name of Duke of Bordeaux or...Count of Chambord. This « miracle child » named Henri stimulates the imagination of some courtiers, notably that of the sergeant of the Maison du Roi, the Count Adrien de Calonne. Cleverly, in order to save Chambord, a symbol of the Ancien Regime, he proposes to start a fund among individuals and municipalities of France to repurchase Chambord. And to offer it to ... the new-born prince! « Monarchist » France agrees to subscribe to the fund, but not the « bad subjects ». It is not easy for the mayors to shy away. All of them organize one or more meetings of the town council, including the main taxpayers, to examine the course of action concerning the national subscription. Some town councils reject the subscription like Morand, a village near Château-Renault, Notre-Dame d’Oë and in all probability Véretz whose finances and monarchist enthusiasm were not outstanding. People are not exactly lining up to subscribe. Only state employees are inclined to pay. One wonders why. Courier, « the smallest of the big landowners » will attend the meetings organized by the Mayor Archambault-de Beaune about certain topics. But the subject about the subscription did not leave any known trace. We may conclude that the mayor dared not convoke a debate about the subscription for fear of a snub. It’s easy to imagine the understated speech the wine grower of la Chavonnière would have given in this matter of pure sycophancy. 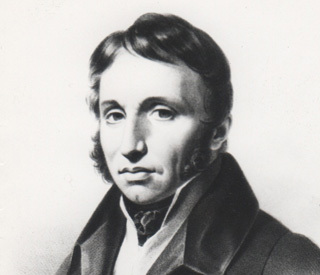 He announces his opinion when he publishes Simple discours (Simple Speech) with the editor Bobée at the end of April, 1821. On May 24th, an edict of seizure of the opuscule is signed, and the protagonists of the venture are prosecuted at the Court of Assizes. The hearing takes place in Paris on August 28th, 1821: Courier is sentenced to two months of jail and to a two-hundred-francs fine; Bobée is discharged. Courier rises to fame in the whole kingdom. As an answer to this sentence, Courier writes one after the other two short texts. First the Aux âmes dévotes de la paroisse de Véretz (To the churchy souls of the Veretz parish), lively and incisive passages which ridicule justice. Then, at the end of October, the Procès de Paul-Louis Courier (Proceedings against Paul-Louis Courier) which taunts the State and its arm, the counsel for the prosecution de Broë. N. of T.: A group of speculators that divvied up and sold a large quantity of France’s real-estate heritage.